Forests are the major biological land resources on Earth. Research on sustainable forest management, wise use of forest resources and reforestation is receiving increasing widespread concerns. Research works on many important functions (aspects) of the forest such as wood and timber production, soil and water conservation, protection of wildlife and recreation, have been accumulated within the Department (field) of Forest Science. Recently, the need for a comprehensive approach on forest land management has also been recognized.Research on conservation and utilization of forest and forest resources is emphasized. Besides, the target area of the forest science is extended to include watersheds and urban areas as a whole. 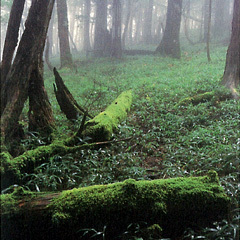 At a global perspective, environmental issues such as global warming, acid rain and degradation of tropical rain forest are also dealt in the forest science.